Roots style blower packages are self-contained and pre-engineered to include all components to meet your application requirements. The packages we offer consist of the blower, driver, piping & valves, instrumentation and may include a noise abatement enclosure. Roots style packages are designed for vacuum, pressure or a combination for an array of applications. All of our packages enable simple on-site installation. Roots packages are available as a standard factory package or an engineered to order solution. 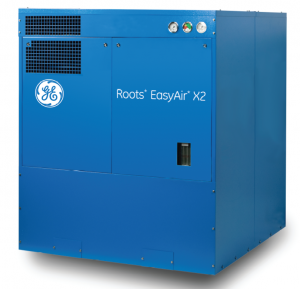 The EasyAir®8000 Factory Blower Package System is a skid-mounted noise abatement enclosure containing a blower, all piping, valves and instrumentation. It is produced for vacuum or pressure applications, enabling simple, on-site installation. We provide fully-engineered, packaged blower units specifically designed to meet exacting customer requirements.